Product prices and availability are accurate as of 2019-04-19 17:41:01 UTC and are subject to change. Any price and availability information displayed on http://www.amazon.com/ at the time of purchase will apply to the purchase of this product. 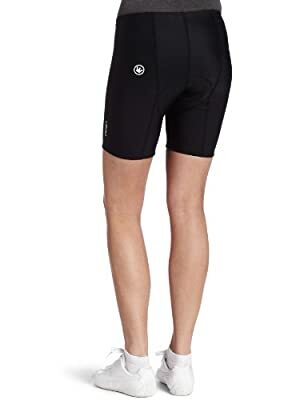 The Canari Women's Gel Pro Shorts feature fabric that is a heavier, more durable and supportive version of Canari's standard nylon/Lycra® spandex blend. The stretch and fit is firmer, providing support to the quad and hamstring muscle groups, while maintaining its highly breathable and quick-drying properties.7 inch inseam.Gel Pad: 7mm monoporous Shock Gel Distributes road shock and vibration Microfleece top fabric wicks moisture and adds comfort..7mm monoporous Shock Gel.Distributes road shock and vibration.Microfleece top fabric wicks moisture and adds comfort..
Made by Canari, this pair of women's cycling shorts is designed to keep you comfortable on long rides. 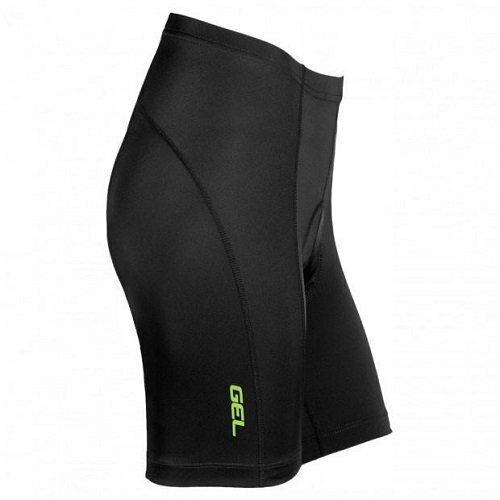 The elastic waist and Soft Touch leg grippers prevent the shorts from shifting as you ride, while the gel pad absorbs shock and reduces skin irritation. Eight form-hugging panels optimize comfort, and the soft, flat-seam construction prevents chafing. Canari's standard base fabric of 82 percent nylon, 18 percent spandex provides a high resistance to damage from perspiration, sunlight, oils and chlorine while giving excellent stretch, support and recovery. Manufactured in China, the shorts are machine-washable and should be hung to dry. They have a 7-inch inseam. All Canari brand products come with a lifetime guarantee.